Lynn was hugely impressive on his Macau debut last year, qualifying in the top three before an accident in the race itself, and now has the chance to take the coveted trophy in the 60th anniversary year of the event. Alex Lynn led from start to finish to claim a wonderful win in the 2013 Macau Grand Prix. The Briton got the jump at the start and crucially managed to hold the lead into the first braking point at Lisboa. After an early safety car, he built up a cushion of over two seconds over the chasing Antonio Felix da Costa. 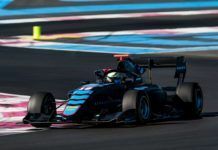 Da Costa suddenly slashed the gap to just over a second with four laps remaining, but Lynn kept his focus to take the biggest win of his career in his Theodore Racing-backed Prema Powerteam Dallara-Mercedes. A sluggish start initially dropped da Costa as low as sixth, but he was up to third by Lisboa, behind Pipo Derani. Da Costa, the 2012 winner, then passed Derani on the outside into Lisboa after the restart and held second place for the rest of the race in his Carlin Dallara-Volkswagen. Ten laps in blazing sunshine did not off to the best of starts for Marciello when he was incredibly sluggish getting off the line, and could not keep Lynn or Rosenqvist behind him. 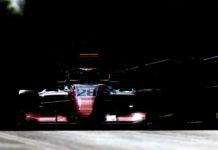 Lynn got ahead as the raced down to the Mandarin Oriental bend for the first time, only for Rosenqvist to barge round the outside at Lisboa and go into the lead when Lynn realised he needed to brake hard or he’d be out on the spot. Derani was promoted back to third to complete the podium in his Fortec Motorsport Dallara-Mercedes. Alexander Sims was not too far behind Derani, claiming fourth in his T-Sport Dallara-ThreeBond/Nissan. 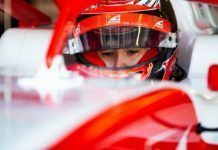 He was part of a big fight away from the start with Marciello and Felix Rosenqvist, which the Swede promptly exited when he touched the wall at Mandarin Oriental, failing to complete a lap. 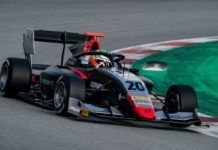 In fifth, Carlin-run Macau GP debutant Jordan King claimed fastest lap on the final tour – it was the quickest lap set by anyone over the entire Macau week. Will Buller, Stefano Coletti and Carlos Sainz Jr were all in the next battle but a collision forced Coletti out and Buller down the field. Jazeman Jaafar came through to take sixth from the recovering Sainz. From near the back of the grid, Tom Blomqvist stormed through to eighth, with Nicholas Latifi and Esteban Ocon – who dropped to the back on the opening lap but made a fine recovery – completing the top 10. The safety car was caused by a big crash at Mandarin Oriental on the opening lap. John Bryant-Meisner hit the barriers, while Sean Gelael spun just behind and Lucas Auer ploughed into him. The Macau GP is one of the most prestigious races of the year. The event has been staged since 1954 on the Guia street circuit and has been subject to Formula 3 regulations since 1983. Former winners of the Macau Formula 3 Grand Prix include: F1 legend Ayrton Senna (1983), Formula 1 record-breaking world champion Michael Schumacher (1990) and ex-Mercedes-Benz DTM drivers David Coulthard (1991) and Ralf Schumacher (1995). 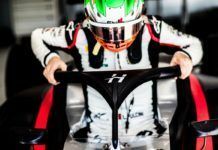 This year, a driver has driven to victory for the fifth time on the streets of Macau, utilising the Mercedes-Benz Formula 3 engine. Between 2004 and 2006, Alexandre Prémat, Lucas di Grassi and Mike Conway won the race with Mercedes power, and current Mercedes-Benz DTM driver Daniel Juncadella emerged victorious in the 2011 season. 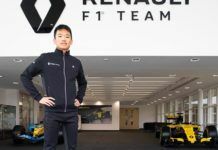 Twelve of the 22 drivers contesting the 2013 Formula 1 season ran Mercedes-Benz engines during their time in Formula 3, including: Formula 1 world champion and MERCEDES AMG PETRONAS driver Lewis Hamilton, four-time world champion Sebastian Vettel and 2010 DTM champion Paul Di Resta.